With around 40 ASX-listed companies already pursuing lithium exploration and/or production, the ASX will soon be welcoming another contender to the lithium mix, in the form of Auroch Minerals (ASX:AOU). Earlier this week, AOU announced that it had acquired rights to the Hombolo Lithium Project in Tanzania, around 40km from Dodoma. 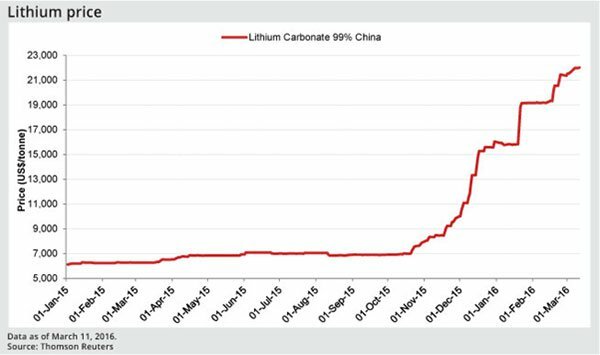 One of the major reasons AOU is keen to join the lithium frenzy is that high-grade 99%+ lithium carbonate prices have risen substantially since November 2015. Priced at $7000 per tonne just 6 months ago, lithium carbonate is now trading at around $22,000 per tonne although it’s worth bearing in mind that lithium is not a standardised commodity and therefore does not trade on an exchange or in financial derivatives such as futures and options. All purchase deals are negotiated directly between buyers and sellers. With so much gusto to be found in the lithium market, the ramifications on pricing have been profound and have in turn welcomed a flurry of lithium exploration from ASX-listed entities. Auroch’s move into lithium echoes similar decisions made my several other metals explorers including Birmian Gold (ASX:BGS), Segue Resources (ASX:SEG) and Caeneus Minerals (ASX:CAD). The ongoing boom in lithium has so far attracted former gold explorers in their desire to switch to lithium exploration. 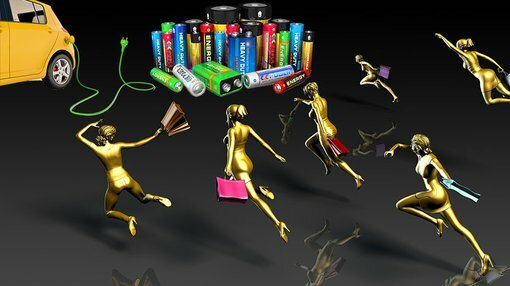 The prime reason for the seemingly sudden rise of lithium as a commodity, is the sudden adoption of electric cars and energy storage solutions being offered by companies such as Tesla, Foxconn and BYO. Tesla managed to convince over 300,000 people to pre-order its Tesla Model 3 in the space of just a few days, which could finally usher in the moment when EV cars begin to outshine combustion engines in the eyes of consumers. AOU has entered into a conditional agreement to acquire an Australian company that owns the rights to Hombolo via a Tanzanian subsidiary. 2,500,000 AOU shares at 36 Months following Completion. As part of its due diligence, AOU has had a senior geologist on site for 10 days conducting mapping and sampling. Initial sampling indicates “the presence of numerous outcroppings and lithium bearing pegmatites” at Hombolo which is a positive initial assessment for AOU. AOU’s future work area is adjacent to Liontown Resources’ (ASX:LTR) Mohanga Lithium Project where LTR’s preliminary fieldwork indicates lithium grades of up to 5.2% Li2O (lithium oxide). AOU’s close proximity to LTR raises the prospect of AOU proving up something similar to LTR once the necessary fieldwork has been completed and assessed during the rest of 2016. Overall, AOU has secured the rights to 2 prospecting licenses, 3 granted primary mining licenses, 8 applications for primary mining licenses and 8 regional prospecting licenses under application – totaling 21 separate licenses with a total ground package of 1,700km2. Most importantly for AOU, its location is part of an “excision” from the existing Liontown project that has already seen some preliminary exploration and includes “historical lithium occurrences” dotted around LTR’s tenements. Hombolo has a small artisanal gemstone mine within the project which was used for gemstone mining in the past. Importantly for AOU, the now unused mine can be used to obtain direct sampling with AOU geologists having already “collected over 60 samples for initial whole rock assay which will document the levels of important elements such as lithium, tantalum and potentially other rare earth elements” says AOU. Auroch will commence field operations in June with initial planned exploration activities to include trenching, mapping and sampling of the pegmatites and soil sampling.